webedsportz22: Sports: Bridgewater, New Jersey wedding photography, freelance photojournalism and portraits, Ed MurrayImages LLC. 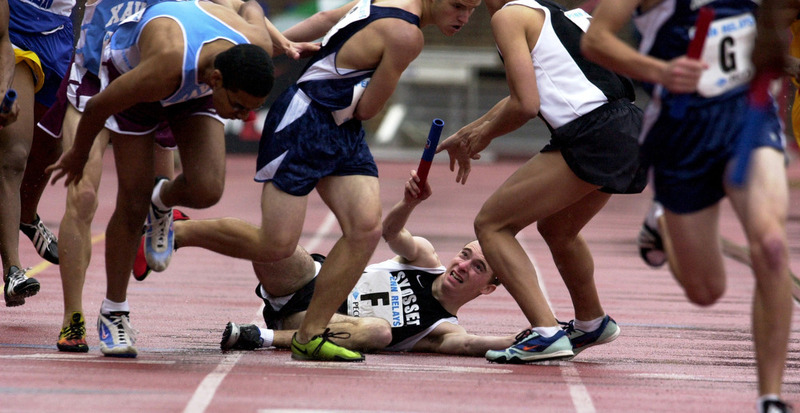 The dreams of the Syosset, New York high school boys 4 x 100 meter relay team crashed to the ground when, on a wet track, the handoff of the last leg was delayed when the runner fell at the Penn Relays on Saturday in Phialdelphia, Pa. The handoff was succesful but the delay knocked the team out of placing.